The Precision in Practice column brings you the latest reports from producers across North America who have put precision farming into practice in their own operations. Visit this column regularly to see what your neighbors are saying about precision farming and how they use it on their farms. Short broadcast interviews with these and other producers can be found in the Precision Ag Minute archives. Q: How does the RTK make planting potatoes easier? A: Before the RTK system, we’d mark out ahead of time so the planter could follow the straight lines of the previous tractor. It took 1 planter operator, 1 marking operator and 2 tractors and usually someone riding on the planter. We’ve eliminated a few of those processes/people now and now the operator can monitor the planter through an on-board computer. The RTK system has really cut our expenses and we get better, more accurate row spacing. It’s made us much more efficient. We had no idea, once we got into it, the extent of how much it saves us. We use it in all of our planting operations. On corn, we plant more acres with 1 large, 12-row planter using RTK than we did with 2, 8-row planters and no guidance system. Q: You’re a record-keeping guru. How does GreenStar 2 help you? A: We use the Grower Approved Practices (GAP) program, meaning that the people buying our food want to make sure we’re doing things right. What we do is track our diesel usage, the time we’re working this ground, and these are all records that processors are requiring. Instead of writing everything down at the end of the day, the GreenStar 2 System is recording all of this for you. It’s rapidly becoming a necessity – it’s so cost-effective and we couldn’t survive without it. This Precision Ag Minute is about how John John Deere’s Green Star AutoTrac RTK System helps cut expenses. Precision technology can do a lot of things, but so far it can’t make rain. So, Roger Godwin of Pelham, Georgia has not been able to do much with his new John Deere a premium-level precision ag system since his area has received no rain since March 3 of this year! As one of this year’s “Reach for the Stars” winners, Roger received the use of aGreenStar™ AutoTrac™ Assisted Steering System with an AutoTrac Universal Steering Kit, a StarFire™ iTC receiver, and a John Deere SF2 signal activation; a GreenStar™ 2 System, which includes a GreenStar Display 2600 and preloaded GreenStar Basics software; and GreenStar Apex Farm Management Software for this year. Roger is no stranger to precision technology, and in fact, has been using it for the past five years. He grows cotton, peanuts, corn, soybeans, wheat and more on his farm in southwest Georgia. We’ll be hearing more from Roger in future posts, so stay tuned! More than eight out of ten soybean, corn, wheat and cotton growers who use precision technology on their farming operations say this factor has increased their profitability, according to preliminary research findings from an effort conducted by dmrkynetec, formerly Doane Marketing Research, Inc., in partnership with the newly inaugurated PrecisionAg Institute. The research, compiled from hundreds of grower interviews during the past three months, is designed to create a comprehensive benchmark of precision technology adoption among row crop growers in the United States. — Of those surveyed who indicated enhanced profitability, the mean savings per acre across different cropping systems, including corn, soybeans, wheat and cotton, ranged from $5.29 per acre to $9.44 per acre. — Growers who use more precision agriculture technology, in particular, those using global positioning systems (GPS), electronic controller-driven application (ECD) and yield monitors, generally reported greater profitability. 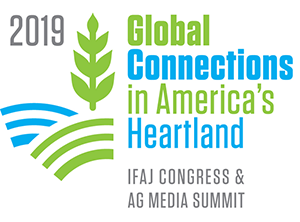 “The research is providing insight into the real economic and technological opportunities and challenges related to precision technology products and methods,” said Paul Schrimpf, PrecisionAg Institute Manager and Group Editor of CropLife Media Group. The research is now entering its final phase, which will feature focus groups designed to ground-truth key findings, as well as unearth more of the psychological barriers to precision adoption. The final results of the research will be released at the InfoAg Conference, July 10-12, 2007, at the Crowne Plaza Hotel in Springfield, Ill.
For more information on The PrecisionAg Institute, visit www.precisionag.com. Q: Explain how you’ve saved on chemical and fertilizer costs. A: We use 12-row equipment, 38-inch, and variable rate spraying with swath control. There’s going to be a lot of savings with swath control. In fields where we had a lot of overlap, we just don’t have that anymore. We never really knew how much money we were losing before. We switched over to an RTK system on 1-inch variance. Next year, we’ll start banding our chemicals (not broadcast) save more money. But it’s already paid for itself. Last year when we variable-rated our Pix applications, we saw that the farms were a lot more uniform. Adding variable rate fertilizer this year, it just made it that much better. Q: Would you recommend guidance packages to your neighbors? A: Of course! It’s a lot nicer not to have to fight it to keep it going straight. Now, you’re just along for the ride! You can’t afford not to use it. You pay up front and see the value at the end by what you’re saving. I’ve got young kids and now I can go to their baseball and softball games. Without AutoTrac, I couldn’t do that – I would’ve still been on the tractor. “Reach for the Stars” Grower Meetings Set! The American Soybean Association and John Deere have set dates and locations for their “Reach for the Stars” summer grower meetings. Plan to stop by to hear the latest information on precision guidance systems from the experts and the winners of the Reach for the Stars program. Farm Industry News gives a first look at GPS-based planter controls. Deere has partnered with Tru Count Inc., which developed a system of row-unit air clutches that allow individual planter units to engage or disengage. With the GS2 Rate Controller, up to 16 sections of the planter can be controlled automatically. The system will be available for purchase in time for the 2008 planting season. Rick Crawford, broadcaster with AgWatch Radio Network, recently caught up with one of the John Deere/American Soybean Association (ASA) Reach for the Stars contest winners. Nathan Wright, Harrisburg, Ark., who farms over 3,000 acres, recently started using his John Deere AutoTrac System. Stay tuned to Precision.AgWired.com for more interviews throughout the 2007 growing season with the Reach for the Stars winners. John Deere’s iTEC Pro (intelligent Total Equipment Control) is a completely automated system that can be used on 8030 Series Wheel Tractors with integrated AutoTrac. The system not only guides the tractor precisely through the field, but also automates implement controls, ground speed, and end turns at headland and interior boundaries. Check out the YouTube video to see and hear what one iTEC Pro user has to say about it. The video clip was sent in by Chris Horob, John Deere AMS Regional Specialist in Fargo, ND and created with the help of AMS consultant Brian Verkuehlen of RDO Equipment, who provides the commentary by voice mail. The video was shot in various locations around Minnesota with a digital camera and edited on a Mac. Anybody else out there have some precision agriculture video they would like to share? Let us know – we’d love to use it here on PrecisionPays! Email your video to Melissa. In addition to the content and educational material Precision.AgWired.com brings to you, be sure to visit these valuable Web sites for more precision guidance information. Also, be sure to visit Farm Industry News for the latest newsletter from the FIN editorial team!